Who Is F.I.-999 ? – Ride To Survive! Italian wavesailor Federico Infantino Ita-999, brings us some action from the last year, hitting up some amazing spots for competitions all around the World. 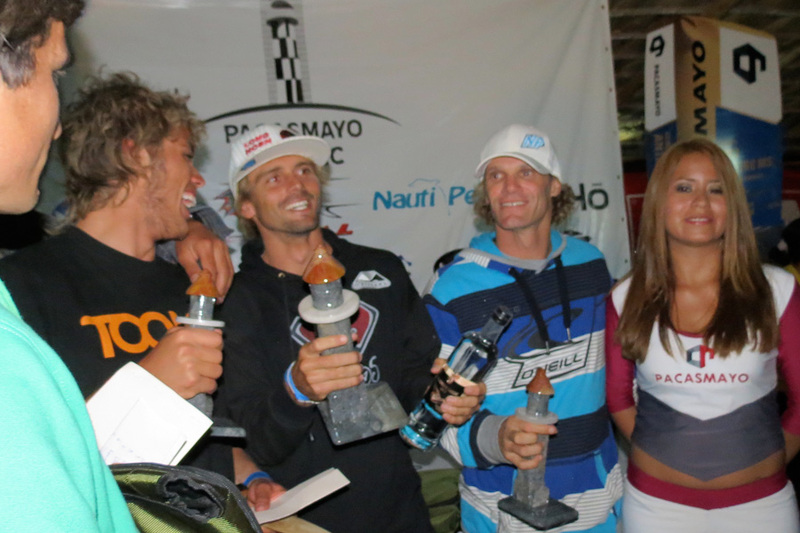 The contests include the 20122 Maui Makani Classic, 2012 Italian Wave championship 2012, 2012 Fuerte Wave Classic and 2012 PWA World Cup Tenerife. Yann Rifflet having a little summer session riding brand new 2013 equipment from North sails and Fanatic. The session took place on Ré Island, a small Island off the West Coast of France. Watch as Kaj Van Der Lubbe part of Seaval BeachStyle goes out for a Sunday session on the Caribbean Sea surround Curacao. Shot exclusively with the GoPRO Hero. Enjoy this clip from top French Wavesailor Julien Taboulet. He was there for the first time in March for the Naish Photoshoto. With images of the infamous RIP ft. Robby Naish in his head check out the results! Some nice action from the Columbia River Gorge this August. Probably the only place you get people doing top and bottoms turns on a river. Featuring, Kai Lenny, JP Bowles, Jake Miller, Rob Warwick, Bryan Metclaf-Perez, and Tyson Poor. Thanks to Trudy Larry for filming, enjoy! Gollito Estredo travels to Adicora a fishing village located on the Paraguana Peninsula near Coro, just opposite of Aruba. Enjoy Gollito’s amazing freestyle abilities. Young gun freestyler Mattijs Lasore’s shows off his one handed Esliders and perfect Punetas in Prasonisi Rhodes. Australian wavesailor Scott McKercher travelled to the Southern hemisphere to score some waves in the Indian Ocean. He scored great conditions at Reunion and Mauritius and shows everyone how to sail gnarly reefbreaks like One Eye with ease. Introducing the 2013 JP Australia Freestyle Wave . Tim Kahlhofen, Matthias Kraschitzer, Fabian Leiprecht and Dorian Konrad travelled to Rhodes, Prasonisi and spent their summer there. Summer sesions with Pablo Ruiz, Pablo Ramírez, Noelia Diaz and Josep Pons, in Pozo and Bahia de Formas. Enjoy the sweet action as these guys make it look easy! n July the west coast of Sweden got hit by a nice swell and excellent wind. Watch this nice video, which got filmed at a spot called Läjet, near Varberg. Paul Zeper bring us a short clip of his trip to Maui. He stayed there for 6 months, learned a lot and met a lot of cool people. The clip shows his journey to Maui and some sailing. Everything was filmed at Sprecks, one of the spots for jumping and freestyle.